Speed is key for medical diagnostics and critical for delivering the appropriate treatment in trauma cases—especially for neurological injuries. 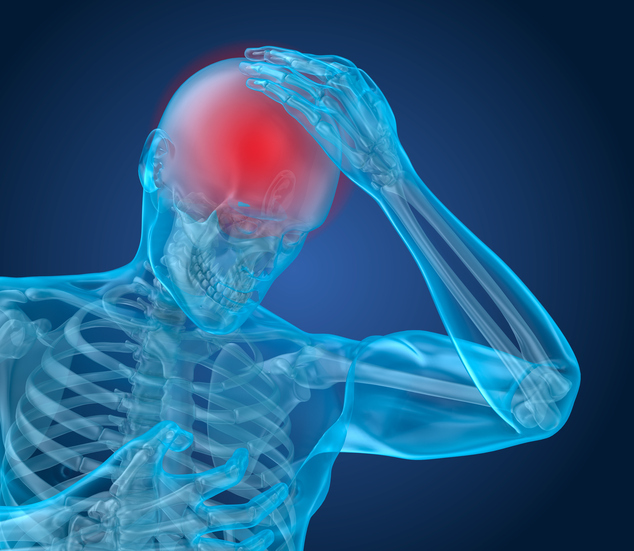 Identifying key markers for traumatic brain injury (TBI) is imperative since it is often difficult to evaluate the extent of damage or predict how long the impairment will last or whether it will worsen. Now, investigators from the David Geffen School of Medicine at UCLA have identified a brain lipid molecule, lysophosphatidic acid (LPA), that was significantly increased after TBI, in a preclinical animal model. Moreover, the researchers also found that LPA was elevated in areas associated with cell death and axonal injury, both major hallmarks of moderate and severe TBI. Findings from the new study—published recently in The American Journal of Pathology through an article titled “Matrix-Assisted Laser Desorption Ionization Mapping of Lysophosphatidic Acid Changes after Traumatic Brain Injury and the Relationship to Cellular Pathology”—strengthens the evidence that LPA could be used as a biomarker of TBI through blood testing, potentially providing a prognostic indicator of injury and outcome. While LPA has been previously suggested as a marker for TBI, the current study showed for the first time that levels of LPA changed within the area of the injury as well as in regions distant to the injury site and linked these changes to pathological findings in brain cells. Investigators used matrix-assisted laser desorption ionization imaging mass spectrometry (MALDI IMS). This sensitive technique allowed the UCLA team to measure discrete changes in lipid distribution within brain slices. Furthermore, the researchers linked MALDI IMS findings to cellular pathologies, such as axonal injury or cell death, using immunohistochemical (IHC) techniques. Interestingly, strong enhancement in LPA and some of its metabolites were seen throughout the brain beginning one hour after compression brain injury. By three hours after injury, elevated levels of LPA were noted in the cerebellum, corpus callosum, hippocampus, and other brain regions. “These observations demonstrate that acute injury profoundly alters LPA and LPA metabolite expression throughout the brain and that this occurs especially in white matter regions at both near and far sites from the injury epicenter,” notes lead study investigator Whitney McDonald, Ph.D., of the Brain Injury Research Center, Department of Neurosurgery and Brain Research Center at UCLA. LPA is a simple phospholipid involved in many biological functions such as the regulation of cellular proliferation, migration, differentiation, and suppression of cell death. LPA and its receptors are found throughout the nervous system, and the rapid onset of pathology and the complexity of the cellular response to TBI suggest that these molecules act as early signaling messengers involved in initiating the cascade of cellular events that promote functional impairment after trauma. LPA has been shown to be significantly involved in the pathology of central nervous system injury.